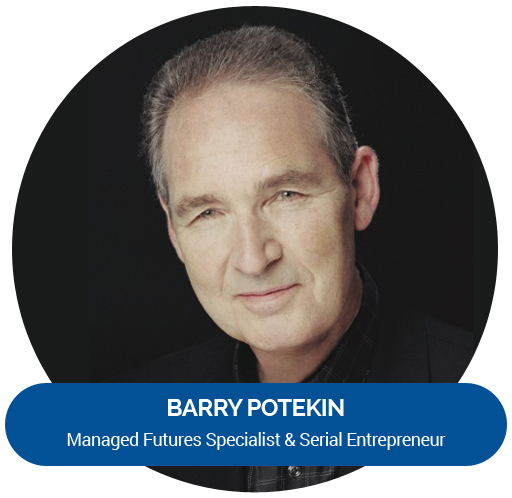 Barry has appeared on The Today Show, David Letterman and, CNN News, on the cover of Success Magazine and Entrepreneur Magazine. He has been the subject of a Wall Street Journal Article and has been written about in Money Magazine, The New York Times, USA Today and Fortune. Check out the interview between RMB Senior Partner Steve Belmont and Barry Potekin as they discuss managed futures.